Pat Fitzgerald is a dedicated REALTOR with over forty years of experience. As a consistent top producing agent, Pat relies on past clients and her extensive referral network for her business. 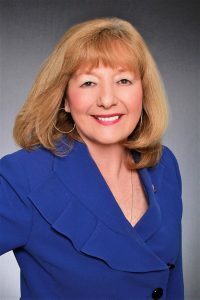 She is a dedicated professional and has received several awards in her career, including most recently, the coveted REALTOR of the Year Award from the Florida Association of REALTORS. Pat is extremely active in the real estate profession and has taken on various roles in the local, state and national Associations. She has been past local President. Past DVP, and served as Florida REALTOR President as well. She serves as an NAR Director and is on the Finance and Leadership Advisory Committees. As a Federal District Coordinator to Tom Rooney, she is also active in the REALTOR Party and is a Golden R and a President’s Circle member. She is well respected by her peers. Pat has achieved the Certified Residential Specialist, the Certified Residential Broker, and the Graduate of the REALTORS Institute designations. On the International Level, she has worked with the International Strategic Forum and attended sessions in Toronto and Montreal. Working with REALTORS all over the globe, Pat has a wonderful handle of the International Market. She is a member of the Miami Association of REALTORS who have an incredible International Presence. In her community, she is a graduate of Leadership, Palm Beach County, Past President of Executive Women of the Palm Beaches. She currently serves as Chairman of Housing Leadership Council for Palm Beach County working on affordable housing alternatives. With two sons as Marines, she has made it a point to support various Veterans organizations and is a Founding member of Renewal Coalition, bringing wounded military and their families to Jupiter for a true vacation time. Pat successfully owned her own real estate company from 1986 until 2010 when she sold that business. She was sought out by Illustrated Properties to manage one of their offices and has been working with them on various projects since that time. She has been a top producing agent with Illustrated since she has been here and is continuing to list and sell along with her various other duties. Pat was recently appointed to the Florida Real Estate Commission by our Governor Scott. This is an honored and revered position in the real estate community. She is currently the Chairman from 2018-2019. Pat is married to Henry Y. Blakiston, CPA and they have three children and seven grandchildren.